Day 86 of #the100dayproject and my #realandendangered project. Today, I want to highlight the Hirola, which is considered the world’s rarest and most endangered antelope (currently restricted to an area of approximately 7,600 km² along the border of Kenya and Somalia). Take time to read the following information. This species really needs all the support: 1. 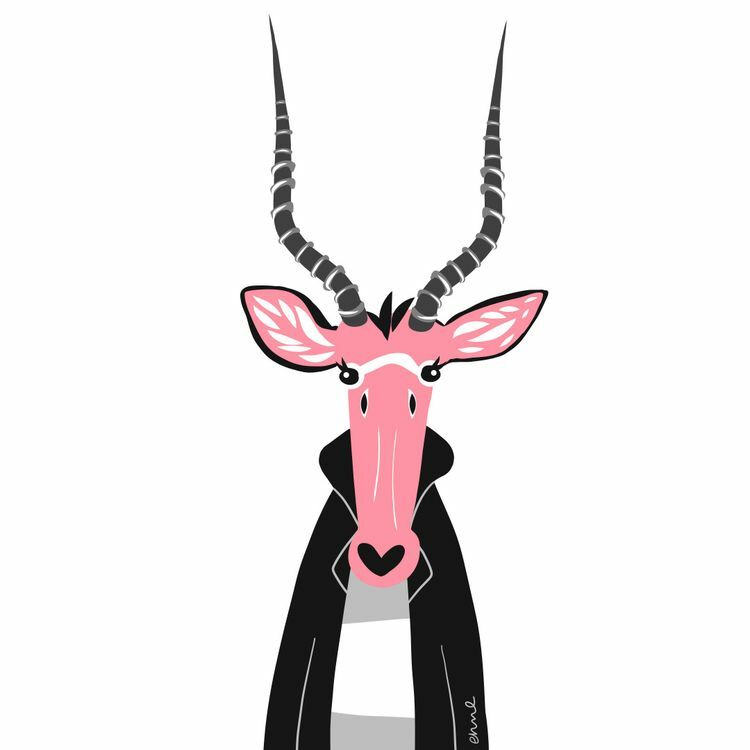 Their nickname is the “four-eyed antelope” due to enlarged preorbital glands (used to mark territory) beneath their eyes. 2. They have white spectacle-markings around their eyes, linked by a narrow, white chevron. 3. Both males and females have well-developed lyre-shaped horns. 4. Their name comes from the Somali pastoral community, which has given refuge to this species and consider it to have spiritual significance (linked to cattle keeping). 5. They are selective grazers, as their diet consists mainly of short grasses.